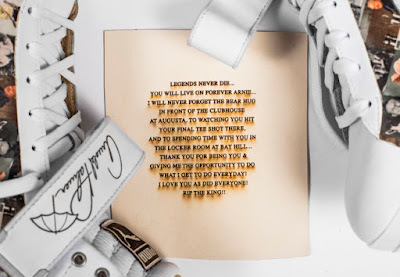 Professional Golfer Rickie Fowler is paying homage to Arnold Palmer, the tournament’s long time host. He’s doing it with these tricked out Puma high top golf shoes that have everything from Arnold’s logo, quotes from the King and even pictures of him throughout his historic career. Only two pairs of these golf shoes were produces. One that Fowler will wear in the tournament and a pair that is signed by Fowler and will be up for auction with all proceeds going to Arnie’s Army Charitable Foundation. The current bid for the shoes is at $8,200 . Bid here. Football and Madden fans rejoice! 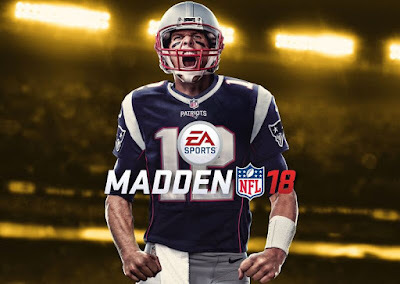 Madden NFL 18 is launching this week, and to celebrate, Microsoft Store is hosting a special event at the flagship Microsoft Store in New York, holding launch day tournaments and kicking off a national community tournament series that runs throughout the year. The launch day tournament offers an opportunity to test your Madden skills for a chance to win some great prizes. This tournament also kicks off the Madden NFL 18 community series, where you compete head to head against local Madden players across the United States, and select cities in Canada, throughout the year. Winners have a chance to play in the grand finals for the ultimate prize, tickets to Super Bowl LII. Join us on launch day to play, watch or just meet Madden fans at your local Microsoft Store. Tournaments begin on August 24 and run weekly through the football season. Visit the Microsoft Store Facebook event page for details. New York Giants fans gearing up for the launch and game season will have the opportunity to meet New York Giants players Landon Collins and Sterling Shepard at the flagship Microsoft Store in New York City on August 24 at 7:30 p.m. ET (line opens at 6:30 p.m. ET). Then, watch the pro athletes compete on the virtual field in Madden NFL 18 from the Mixer NYC Studio, where the winner will receive a $5,000 donation to the charity of their choice. Be one of the first 16 fans in line to compete in the Madden NFL 18 community series and you’ll have the chance to play LIVE from the Mixer NYC Studio, which will also be livestreamed on Mixer.com/MicrosoftStore. This is Madden like you’ve never seen it. Powered by the Frostbite engine, Madden NFL 18 introduces Longshot, a football redemption story you can play. Your decisions lead forgotten prospect Devin Wade on the pursuit to fulfill his NFL dream in the first ever Madden story mode. Don’t miss out on the action – join your local Microsoft Store to play the new Madden NFL 18 starting this week! Visit https://www.microsoft.com/en-us/store/locations/madden-nfl-18 to learn more and find a store near you. Tournament rules require participants to be 13 years of age, and minors (13-17) must have the permission of their parent or legal guardian to enter.